The initiative combines public, private and academic sector expertise and uses the latest technology to enhance day-to-day life in the city. 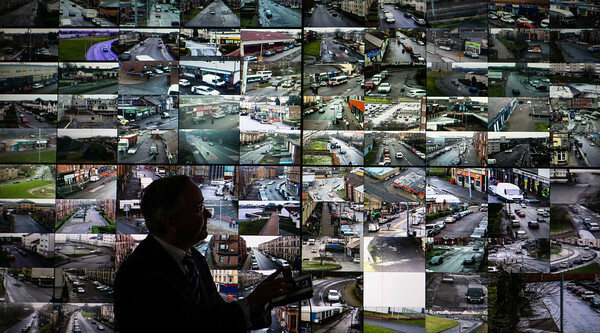 By integrating technologies and applications in public safety, transport, health, technology and sustainable energy, it is expected that Glasgow will become a smarter city, with the knowledge, open data and integrated systems necessary to develop further opportunities to become more sustainable. A state-of-the-art Integrated Operations centre is being created which will monitor and control the city's new network of CCTV cameras. Their operators will be based in a new control room alongside a specialist team in charge of the city's traffic lights and traffic cameras. The new City Technology Platform will integrate the data streams, analyse the information, present it in a meaningful format and make it open for use by the public, businesses and academia. It will be accessed through websites and smartphone apps including a data portal and the MyGlasgow dashboard. Energy: demand side management; city energy modelling; understanding the real-time impacts of insulation on homes; renewable energy opportunity mapping; and behavioural change. Transport: Integrating mobile technologies to increase the efficiency of social transport in the City. Political leadership with a long term approach - The Leader of Glasgow City Council has supported the programme from its inception, highlighting that it will put Glasgow at the forefront of innovative and smart cities, not just in the UK but in Europe and beyond. Collaboration and dialogue with all stakeholders - Future City Glasgow has a strong stakeholder relationship with the Executive Directors of Glasgow City Council and the Director of Digital Economy at the Scottish Government, as well as a number of leading organisations within Glasgow across the public, private and third sectors. Contribution to multiple policy objectives - Future City Glasgow addresses specific challenges within health, energy, transport and public safety. Business models to attract investment - A key feature of the business model for this initiative is that partners of this project are able to develop their markets well beyond Glasgow and act as leaders in this area, as well as lock in benefit for the UK and Glasgow through economic growth in line with the Innovate UK's vision for Future Cities. To read a full report on Future City Glasgow and why it is a good example of a Lighthouse initiative click here.